One of those new newfangled diesels meets a steam locomotive at the Chicago Union Station. 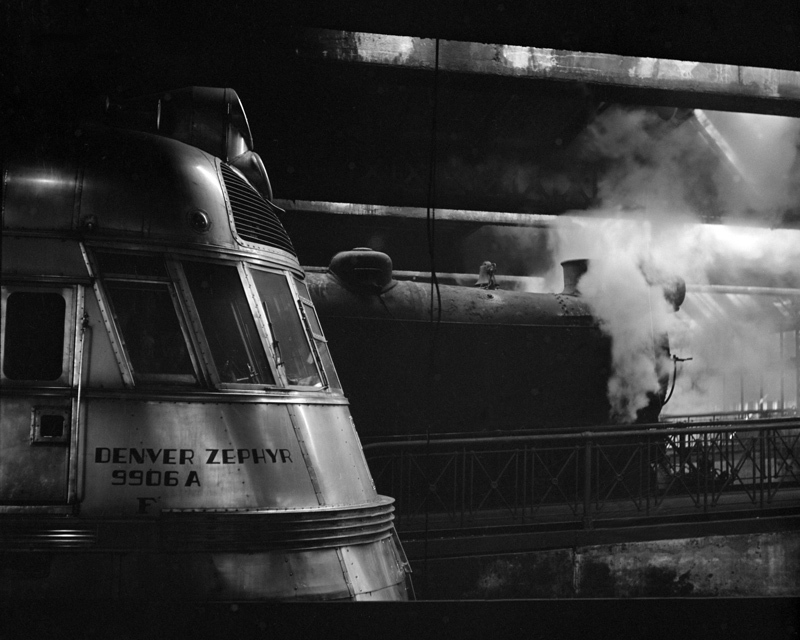 The time is January of 1943, and that modernistic train is the Chicago, Burlington and Quincy’s Denver Zephyr. This train ran between Chicago and Denver, with service commencing in 1936, and running until 1973. The route was 1,034 miles and the train generally covered the distance in 16 ~ 16-1/2 hours.